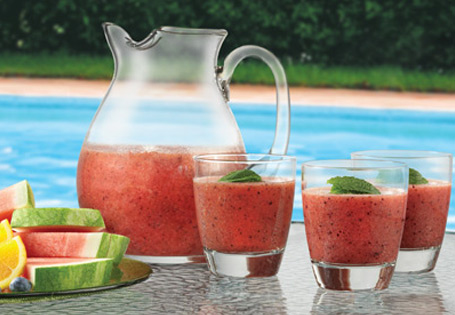 Add ice cubes, fruit and cold water to a blender. Pour into jug or into glasses to serve. Garnish with fresh mint leaves and enjoy!